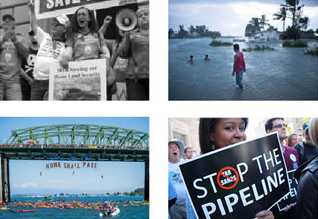 October was a busy month for the Zinn Education Project in the Northwest, bringing people’s history workshops to teachers in Lincoln County Schools on the Oregon coast, to the Northwest Teaching for Social Justice Conference in Portland, and to preservice teachers at Washington State University in Pullman, Washington. 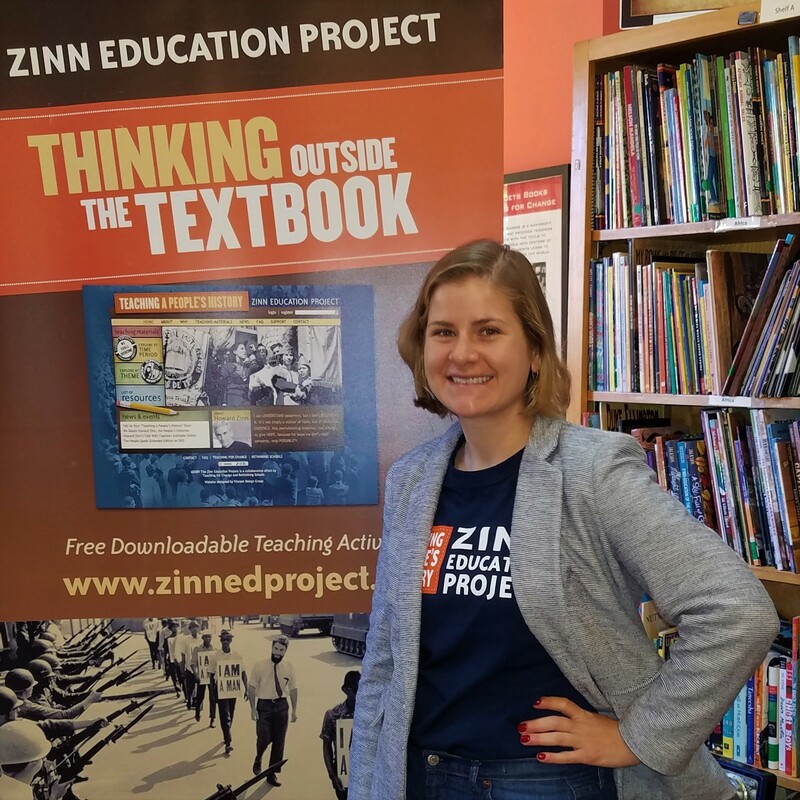 Katie Orr joins the Zinn Education Project staff as Communications Manager. 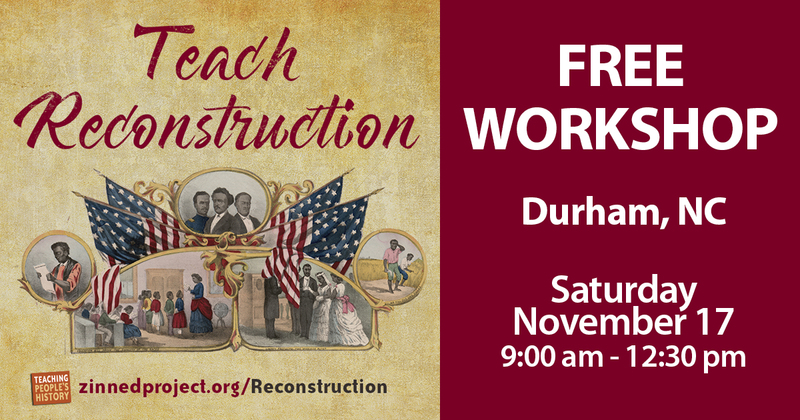 As part of the Durham Association of Educators' Saturday Leadership Academy, the Zinn Education Project will offer a workshop on teaching about Reconstruction. Teacher Organizer and Curriculum Writer Ursula Wolfe-Rocca will introduce two lessons. As you know, the Senate just confirmed a new Supreme Court Justice, hand-picked by the far-right Federalist Society. 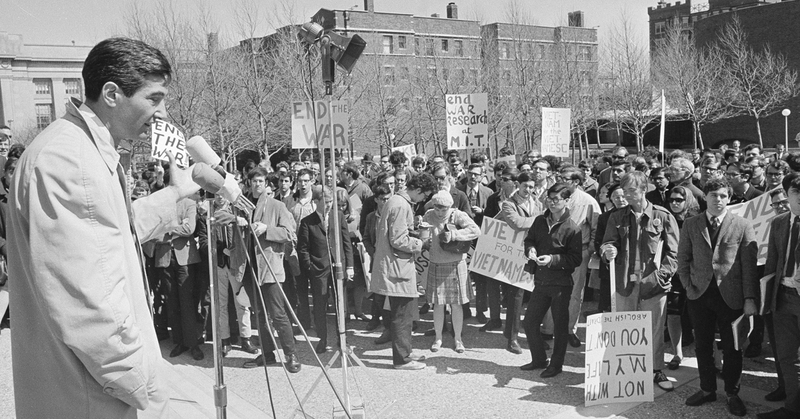 For hope and solace, activists have turned once again to the words of Howard Zinn — to remind us that in the end, it is the power of the people that leads to real change. Social media responses to attacks on A People's History by Sam Wineburg and Jonathan Chait. In 30 years of teaching, almost all my high school history students could name the fellow some say "discovered" America: Christopher Columbus. 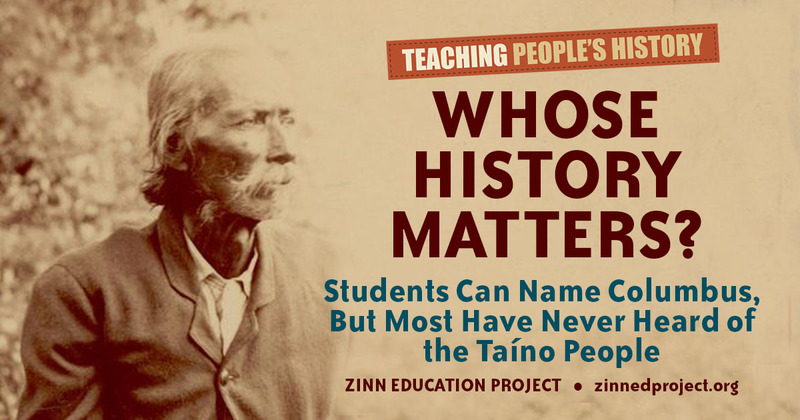 But none could name the people he supposedly discovered: the Taínos. 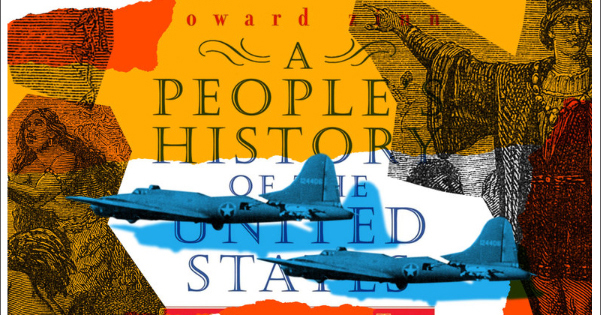 High school teacher Ursula Wolfe-Rocca responds to the critique by Sam Wineburg of Howard Zinn's A People's History of the United States and the teachers who use Zinn's work in their classrooms. You can help raise funds to bring people’s history resources to classrooms across the U.S. using Facebook. 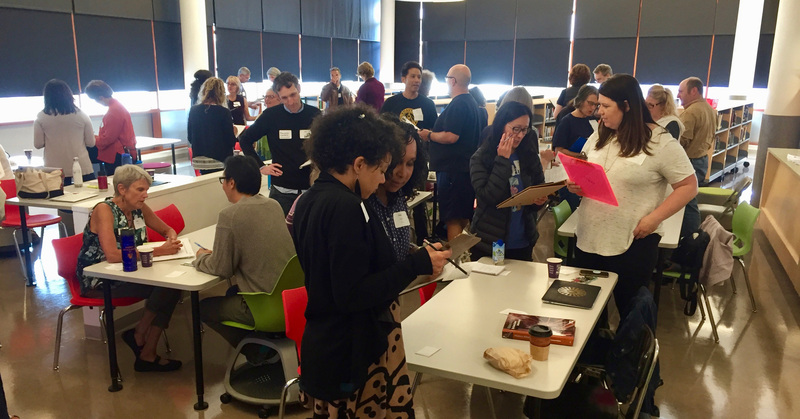 After attending a Zinn Education Project workshop on Reconstruction at the National Council of Social Studies annual conference in the fall of 2017, Esther Honda, a San Francisco Unified School District (SFUSD) librarian, was excited about the possibility of bringing a people's history workshop back to her district. We express our profound appreciation to Lauren Cooper for her pivotal role as founding coordinator for the Zinn Education Project. 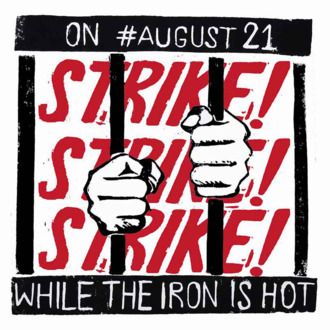 Although it has not received nearly enough mainstream media attention, a National Prison Strike was launched on Aug. 21 and ends on September 9. The 10 demands of the strike are a rich text for discussion in our classrooms, and raise important questions about history, citizenship, and human rights. 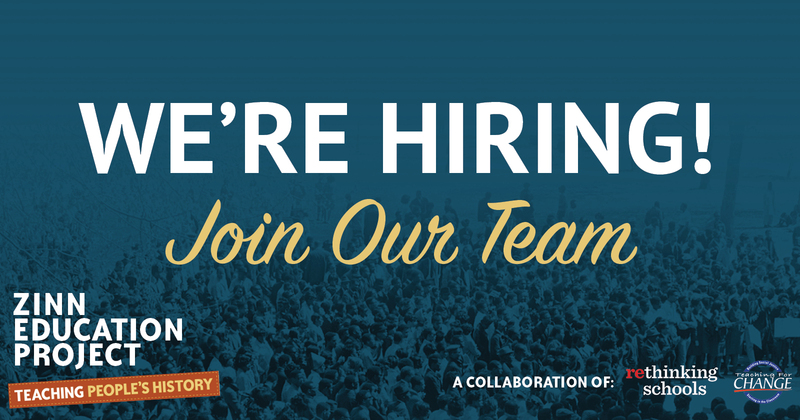 On this 10th anniversary of the Zinn Education Project, we seek to hire a communications coordinator. The communications role is varied, including press, social media, conferences, materials production, website management, and internal communications. The world would be a better place if many more students engaged in debates of justice and retribution, radicalism and realism, equity and equality. Please help us reach our goal of signing up 100,000 teachers to bring people's history to the classroom in this new school year. New School Year, New ZEP Organizer! 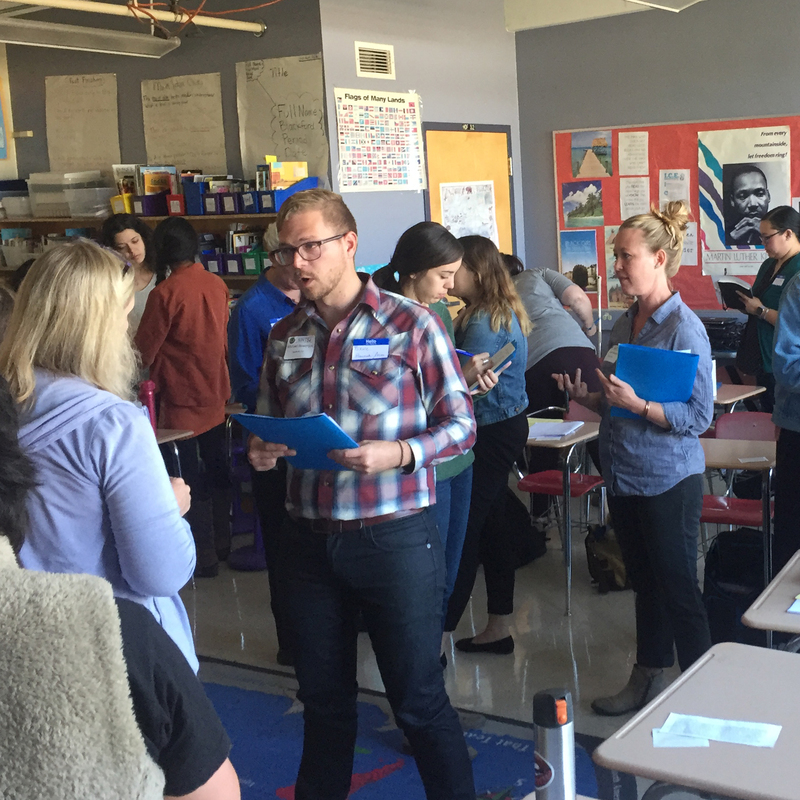 Thanks to the generous support of a longtime Zinn Education Project (ZEP) supporter and those of you who donated to our campaign, we have hired a new teacher organizer for the 2018-2019 school year! We are excited to announce that Ursula Wolfe-Rocca, a ZEP teacher leader, will take on this position. 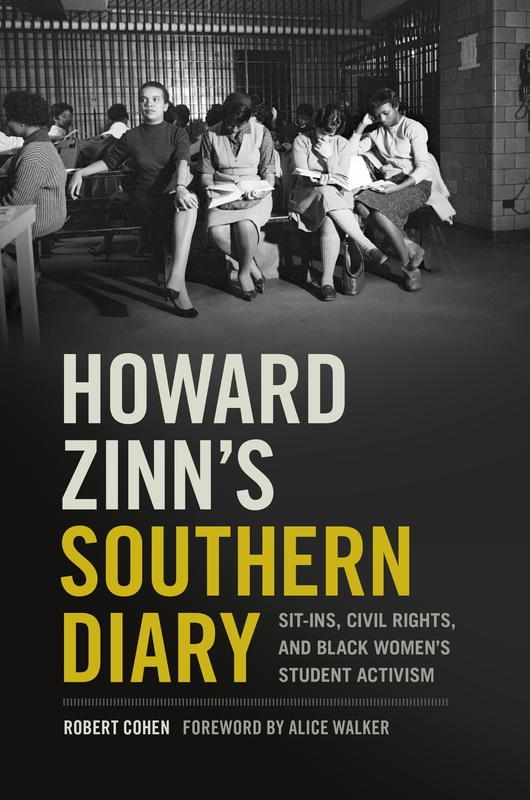 The University of Georgia Press published Howard Zinn's Southern Diary: Sit-Ins, Civil Rights, and Black Women's Student Activism by Robert Cohen in September of 2018. From the streets to the classroom, the resurgence of far-right racism unleashed by Trump's election must be confronted. 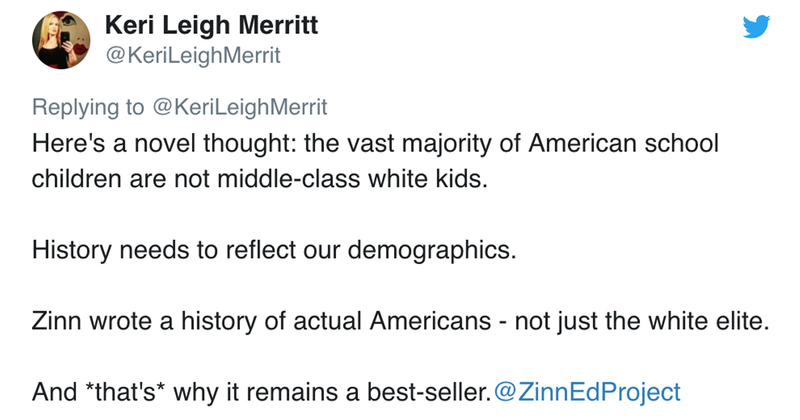 To help teachers in this endeavor, the Zinn Education Project will continue to post new lessons throughout the year on the impact of racism and popular movements to combat it. 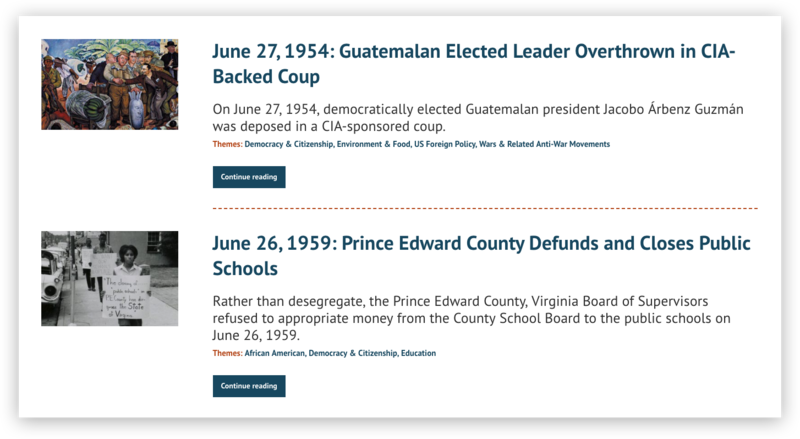 On this 10th anniversary year of the Zinn Education Project, our website is getting a complete overhaul to make it easier for educators to find the lessons and resources they need to ensure students have a more accurate, complex, and engaging understanding of U.S. history than is found in traditional textbooks and curricula. We are honored that Milestone Films is donating $1 to the Zinn Education Project for each DVD and Blu-ray they sell. 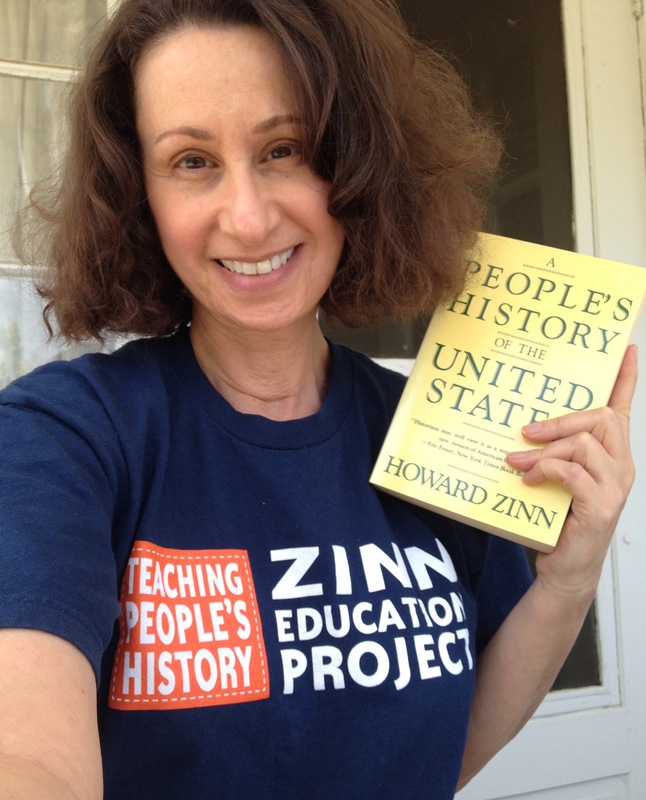 Milestone Films founders Amy Heller and Dennis Doros made this commitment, “because to change history, you first need to know it!” They realize that the Zinn Education Project needs donations so that we can continue to provide free resources for teaching people’s history, outside the textbook. At the heart of our environmental crisis is the idea that nature is a thing to be used for profit. That’s the bad news. The good news is that social movements across the world are challenging this profit-first orientation, and proposing alternatives. And educators are a part of these movements. We are inspired by educators from West Virginia, Kentucky, Oklahoma, Arizona, Colorado, and beyond, who are standing up for the schools teachers and students deserve. 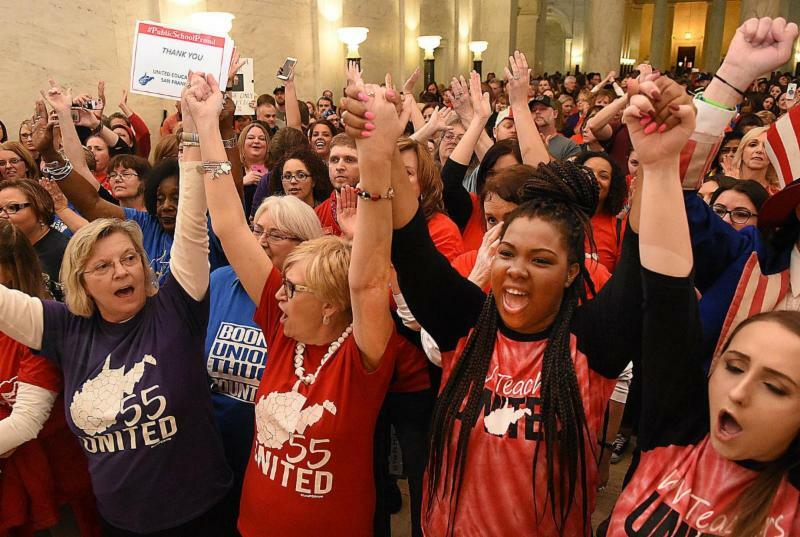 These historic struggles are part of a wave of teacher rebellions sweeping the country — especially in "red states," where years of tax cuts have decimated public school funding.